For over twenty-five years, Robert Ross has concentrated his practice on the defense of insurance companies and their insureds. Mr. Ross graduated from Hampden-Sydney College in Virginia and Mercer University School of Law in Georgia. He began his career as a law clerk to the Chief United States District Court Judge in Atlanta, then served as an Assistant U.S. Attorney. Mr. Ross is a respected member of the Virginia, Georgia, and District of Columbia Bar Associations. He is AV Peer Review Rated (Highest) in Martindale-Hubbell and is recognized as a Virginia Super Lawyer and Virginia Lawyers “Leader in the Law”. Mr. Ross is also listed in The Best Lawyers in America. Mr. Ross is a frequent author and speaker on national, regional and local levels. He is a 5-time speaker at PLRB/LIRB conferences on subjects ranging from “Ongoing Nightmares of Chinese Drywall” to “Commercial Large Loss Arson/Fraud Cases” and more. For the Virginia Law Foundation, Mr. Ross has been an author and speaker on topics such as “Duty of Good Faith” as well as “Taking and Defending Depositions”. Mr. Ross is also active in the civil defense bar, having served as a Director and 2-time “coverage” chair of the Virginia Association of Defense Attorneys. He is active in the Virginia State and Richmond Claims Associations and serves as the international Judge Advocate Emeritus (General Counsel) of the Honorable Order of the Blue Goose International, an insurance charitable organization. 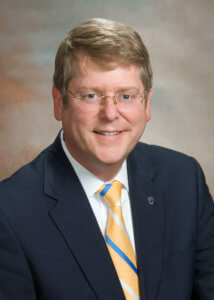 Mr. Ross routinely litigates complex insurance defense cases in the Mid-Atlantic Region, primarily in federal courts. Mr. Ross’ practice includes the defense of first and third party cases, as well as subrogation actions. When away from the office, Mr. Ross is active at his church and serves on the vestry. Mr. Ross also enjoys travelling, cooking and outdoor activities.